Robert Trent Jones II designed the golf course with the highest level of international tournament golf in mind as well as a pleasurable golf experience for members and tourists alike. There is plenty of challenge, if that’s what you want – especially from the white tees! Onyria Palmares Golf is composed of three returning nine-hole loops that can be played in any sequence. The genius in the routing is that, depending on the sequence of play, each golf experience is different. 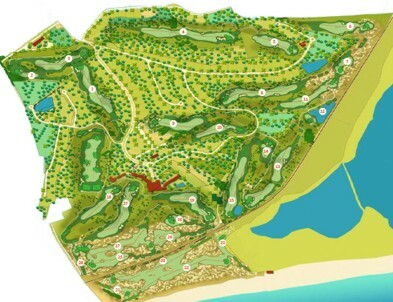 Each nine-hole loop – Alvor, Lagos and Praia – has its own character and ambience.